Here’s one for the men in your life! 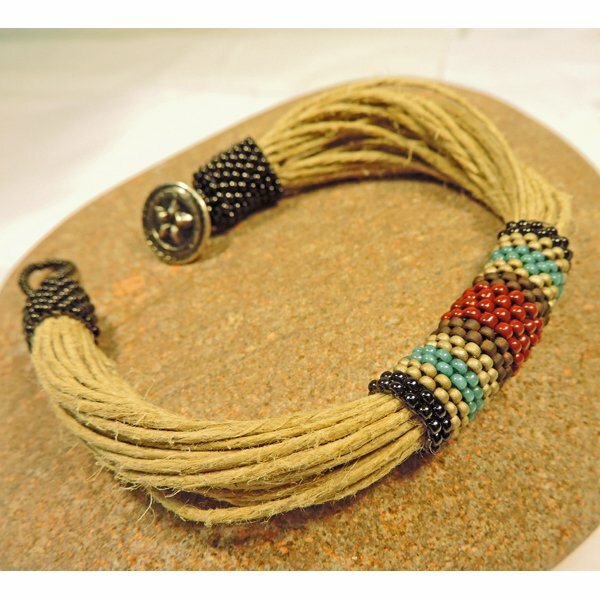 Learn how to basic peyote with jute cord to create a bracelet—choose his favorite team colors and turn him into a jewelry-wearing fan. Our jewelry class dates are flexible! We’ll work with you to schedule any of our classes on a different date—give us a call at (760) 772-2400 Monday thru Saturday, 9:30 to 5:30, Sunday, 11-4.